Updated: Morton Lawyers: Former DAs' Claims "Wholly Deficient"
Michael Morton's legal team responded today to claims from the exonerated man's original prosecutors that they cannot be forced to testify as part of an inquiry into how Morton was wrongfully convicted of murdering his wife. 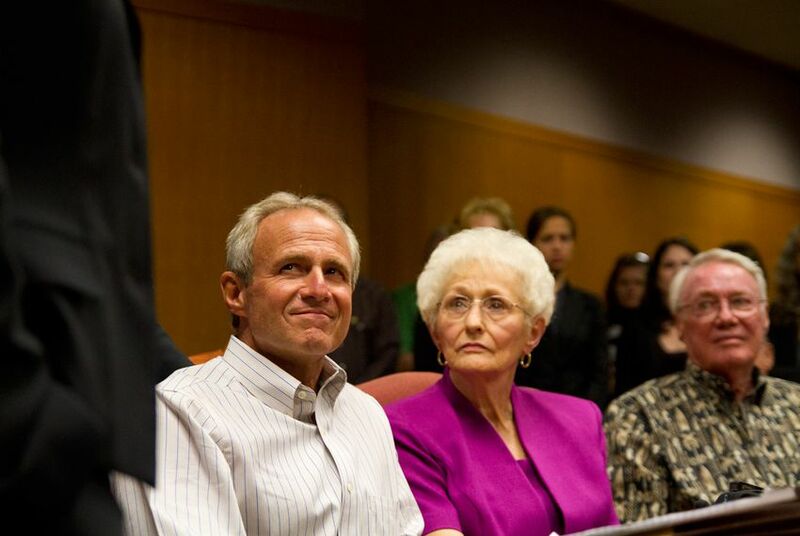 Pending possible appeals, the original prosecutors in the Michael Morton case will testify in an investigation into their potential wrongdoing in handling his murder trial. Today, Judge Sid Harle denied their motions challenging the jurisdiction of the court to compel their testimony. Morton's attorneys have alleged that the Williamson County district attorney's office intentionally withheld a transcript in which Christine Morton’s mother told a sheriff's investigator that the couple’s 3-year-old son saw a "monster" who was not his father brutally attack his mother. They also claim prosecutors withheld information about Christine Morton's credit card being used and a check being cashed with her forged signature in the days after her death. In their response filed in court today, attorneys for Morton called the former prosecutors' arguments "wholly deficient." They said Anderson failed to say why the cases on his docket and the medical procedure cannot be "rescheduled in light of the gravity (and expedited timetable) of the circumstances" of the Morton case. They called Davis's claims of a possible "media frenzy" a "curious assertion to make given that the time, place, and very existence of the deposition had been deliberately and carefully kept private by all parties to this litigation since the October 3rd order."